A starred review from Booklist. Praise from Indie Next Great Reads. And Shelf Awareness has taken notice, too, among many others. Monument Road is climbing. Its official publication date is still a few weeks away (Nov. 14) but I was sent a copy last summer, perhaps because I write about Western Colorado, too. It didn’t take many pages for me to realize I would be reading the whole novel—and that I would be enjoying its easy, understated style and its rich array of down-to-earth characters. When Charlie stopped in Denver a few weeks ago, we met for lunch and shared stories about writing and our careers in writing non-fiction too (journalism and public relations). When you read Monument Road, it’s impossible to think you aren’t getting to know the author and I was not surprised to find that Quimby, in person, was engaging and thoughtful. A full review follows but, first, Charlie Quimby was kind enough to answer a few questions about Monument Road by email. Question: The setting of Monument Road seems completely intertwined with the story. Did the landscape around Grand Junction and Colorado National Monument inspire the story or was this a story that later found its home? Quimby: Some readers have told me the landscape feels like a character to them. I would not have written this book at all without having grown up in that place as a fourth generation Coloradan, leaving it for 40 years and then coming back to live part time. We have a house just off Monument Road, and my wife and I hike and bike in that country all the time. It’s an amazing place, with a billion years of geologic time thrust in your face and another billon that should be there gone missing. A barren desert that becomes fecund with irrigation. Dinosaur tracks in the rock, with a “dinosaur mine” at one end of the valley. Three distinct valley walls that could be three different places in the world. So, yes, it’s more than just a setting. It’s a place that evokes big questions and demands responses. And that’s before you even put a person in it! Beautiful places attract all kinds—and harsh places collect them. This region is both. 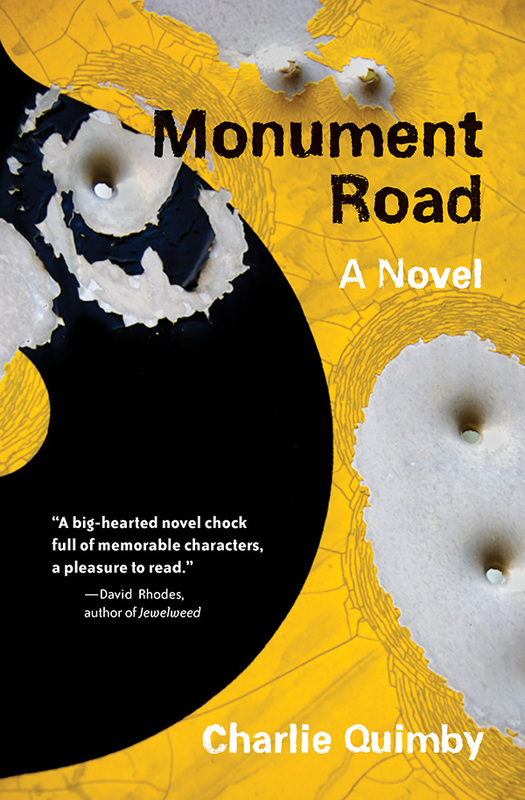 Question: Monument Road is about many things, including religion—but it’s not religious. It feels secular to me; was that on purpose? Was that one of the themes you wanted to explore? Quimby: I am a secular person who was raised Catholic, so I suppose that tension is within me. But I wrote this novel at an age where I’m way past rebelling against doctrine or bashing the religious impulse. Whatever I believe personally, as an artist I can see that faith works for a lot of people and organized religion can do good or harm based more on the organization than on the beliefs themselves. I’ve long been interested in organized religion as a place of genuine community, service and solace—and simultaneously a great place for evil to hide. I blogged for years about politics and culture from a liberal perspective, but my most-read posts, even five years later, are ones I wrote about the evangelical empire of the prosperity gospel. Many of those readers are anguished Christians who feel let down by their church. Religious faith is a common response to a mystifying world, to fear and hardship, to loneliness, to the question of how we should treat each other. I grew up in a region where no single sect dominates, next door to Utah, which is the complete opposite. How could I write a big and true novel about the west without taking religion into account? One way I strike this balance is through Helen, the girl who gets mixed up with the pentecostal youth group. She is not seeking God, but she is seeking a source of genuine inspiration—the inner fire that animated Joan of Arc, the part she wants to win in the class play. She’s viewing her peers skeptically and there’s some comedy in that, but she also gets sucked in a little bit by their surrender to something bigger than high school drama. Question: Your cast includes a wide range of characters, including some high school students. How did you go about researching the mindset of that age group and how hard was it to write from their point of view? Quimby: Interesting question, because it touches on a couple points, going back to the landscape. When I was growing up there, I had what they call a significant emotional event involving a girl and a cliff edge. Helen, the high school girl, was the first character I started writing, and she grew out of that experience and the question, what if something different had happened up there? As for portraying the mindset, some of that comes from having been an actor and playwright. You have to inhabit a character before you give them their stage business. You have to find a way to become them rather than simply make them do the stuff you think they should do. There’s a little bit about that in the book with Helen wanting to find a true Joan and not simply pretend or imitate what someone else has done. So I tried to walk myself back to that place, where I was self-centered and full of passion and conviction but short on sound answers. Where you’re feeling the pressure to conform and the urge to be an original. That condition is timeless. Question: Life and death is everywhere in fiction, but you tackle the subject undaunted. Monument Road seems to live in a space somewhere between stoicism and faith, primarily through Inetta and Leonard Self. They have different views of religion but similar views about the world around them. How did you approach developing their characters? Quimby: The quick answer is that, however they diverge, the characters have a powerful place in common and they are all bound for the same ending. Living within those brackets, they have a basis for getting along, for finding love, for propping each other up, for finding the meaning of life inside themselves or in something else. I wanted to show how the two perspectives could work when each person expressed their love by letting the other be who they were. Neither character grew up in a home they wanted to replicate. Leonard ponders how Inetta “could’ve come out of a dark-curtained house that felt like a waiting room for the Second Coming.” She retained her faith but rejected the rigid religiosity. He was orphaned in a horrible way but clung to the family homestead. Their strategies were different but their goals were the same. They saw each other as perhaps their last chance to get beyond what they wanted to leave behind. Question: You developed quite an ensemble cast for Monument Road, what’s next? Are any of these characters coming back in the next novel? Quimby: Yes. I’ve granted some secondary characters bigger lives in the next book, and a peripheral mystery left open-ended in Monument Road will provide the fulcrum for the main character’s choices. I don’t want to say too much about who they are, but readers of the first novel will feel some continuity as well as be lifted into a new story and a different world. The setting is still the Grand Valley, but the action moves into the town, which is dealing with the presence of homelessness in contrary ways—by addressing the underlying issues homeless people face or by simply driving them out. As in Monument Road, the story is rooted in what happens when land formerly undervalued becomes desirable. And it looks at how people work out their relationships through contending moral frameworks, this time between demanding personal responsibility versus extending aid. In some ways, this novel will be closer to home because Grand Junction has been working through this as a community for years. Leonard’s drive on Monument Road was a largely internal journey, while local readers of this book will be more likely to see events or public figures they think they recognize. It’s fiction, but it’s also about something real and true to the town and the world at large. In one big beautiful paragraph on page two, Charlie Quimby reeled me in. Leonard Self is driving down the snaking road off Colorado National Monument. His wife Inetta’s cremated ashes in the “squat ceramic container” on the seat next to him, down Monument Road. He has just recalled a science lesson about gravity that cues up one of the book’s central themes: gravity. Fallen—and falling—man. And then comes the paragraph. I won’t re-type the whole paragraph here, though I’m tempted. Quimby weaves together geology and astronomy, makes a poetic reference to the state of the economy and tells us plenty about Leonard Self and where he sees himself in the great arc of time and life. The paragraph is about descent and decline and history and memory all tumbled together and it comes at you in a fairly effortless fashion. However, the following paragraph ends with a religious reference (not the first in the first two pages) and, to be honest, I was worried at first that I might be starting a novel with proselytizing on its mind. Yes, religion is a theme but it’s within the context of a terrifically human series of intertwined stories about the gritty lives of real people in the Grand Valley and around Grand Junction, Colorado. Quimby has his eye is out for small, unheralded lives. A high school girl in choir and theater who is trying to sort out the difference between good acting and bad acting. She’s trying to find hidden truths of herself (as are many of the characters in this book). There’s an awkward foster kid with a board but nowhere to ride it out on the ranch where he’s given a temporary home. There’s a once-idealistic reporter who now searches for the “wretched thread” to demonstrate a cycle of abuse at a day care center. The characters’ lives are loosely interwoven. Quimby doesn’t force the dots to connect; they overlap naturally as they would in any small city. 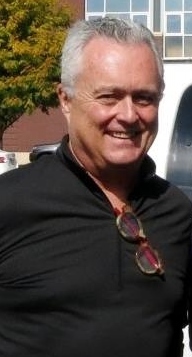 Ultimately, the focus is on Leonard Self and his role in the community and he takes stock of his many circles of life. The theme could be brittle and overwrought (and it’s certainly been done before) but Monument Road and its interesting cast of characters deliver a solid punch that is powerful without being sentimental and spiritual without being religious. Nothing in Monument Road sounds like a “damn greeting card.” Not at all. You will feel the weight and the gravity of what’s going down. This entry was posted in Books and tagged books, charlie quimby, colorado, Fiction, monument road, reviews. Bookmark the permalink. I’m in the midst of the novel now. It’s worth savoring and occasionally lingering over a page…. Mark, you are a gentleman and a scholar. Really. Thank you for the time and effort you put in here.